BSH Electrical Pty Ltd is a proud Tasmanian owned and operated electrical contracting business that has developed the reputation of an industry leader since its inception in 1985. 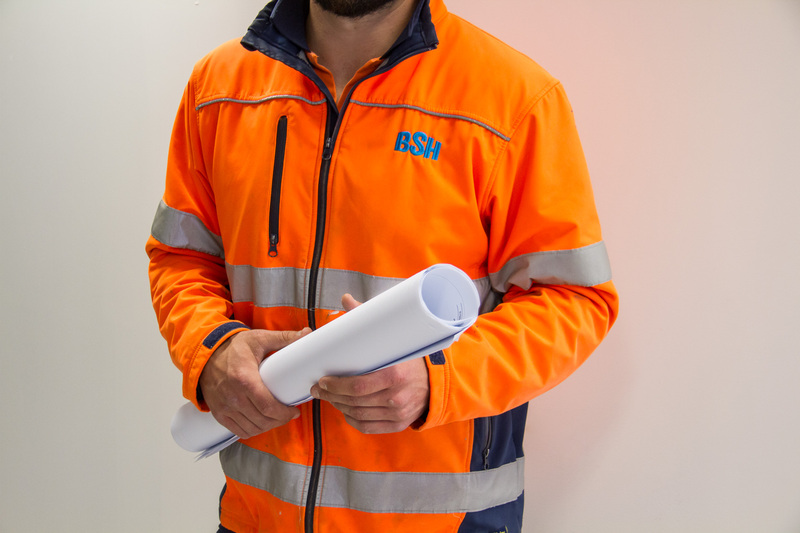 Today BSH employs over 80 carefully selected people and provides such services as power, lighting, security, communication, nurse call, fire detection, CCTV and facility maintenance to all areas of the state, including the outlying islands. BSH are skilled in their ability to integrate multiple technologies together to allow communication across disparate systems. 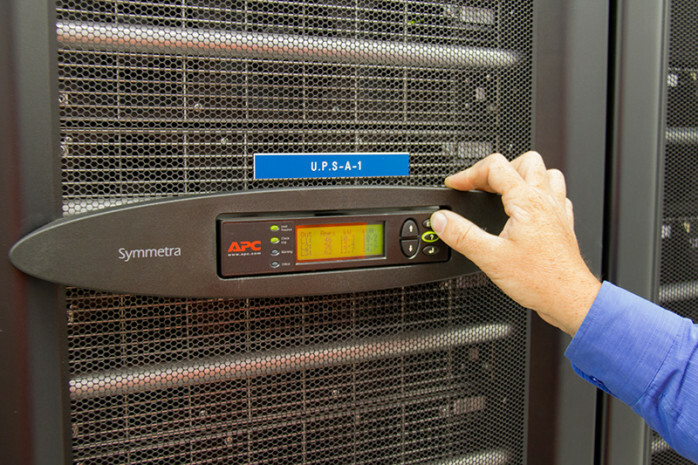 This allows users to easily use, manage and maintain information regarding multiple systems through a common method. Examples of this are BMS to Nurse Call, Access Control to Nurse Call, CCTV to Nurse Call, Fire Systems to Nurse Call, Nurse Call to CMS, Nurse Call to Access Control, Fire Systems to BMS, Nurse Call to Building Automation, Power Quality monitoring to BMS, etc. We have an unrivalled capacity to provide a diverse range of skills and services to all our clients, statewide. BSH is well resourced to undertake any sized project from a small office fit out to a major million-dollar development. All BSH projects are undertaken in close consultation with all involved stakeholders. This allows us to develop a sound understanding of the project requirements, it also allows us to further develop the program of activities for the benefit of the client. 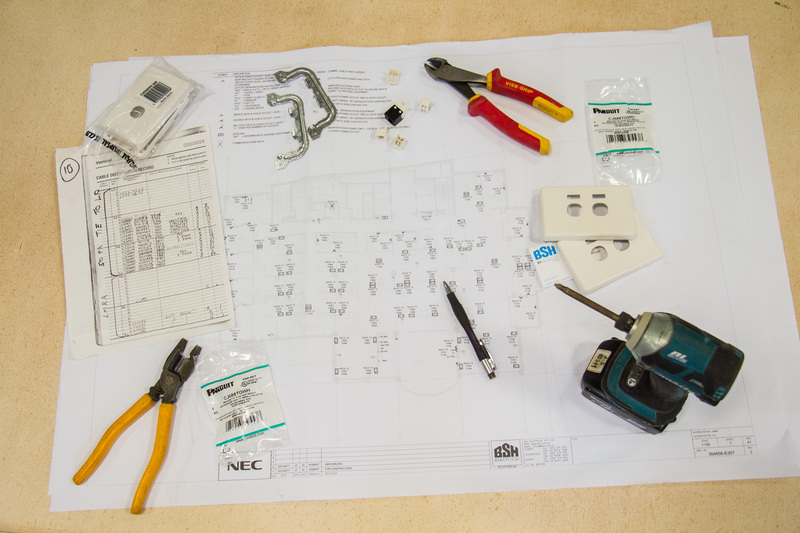 Domestic residences, commercial properties to Aged Care facilities are finding out the many benefits that a well designed and installed building automation system can bring. BSH is a Point-1 endorsed installer of the Clipsal C-bus system. The benefits of such systems range from decreased power bills as a result of efficient lighting control, HVAC, through to a sense of safety when integrated into security and CCTV systems. Systems may include colour touch screens, curtain controls and other features which are always increasing. Additionally, BSH is certified in the design & installation of other major communication / automation platforms such as KNX, Modbus & BACNET. 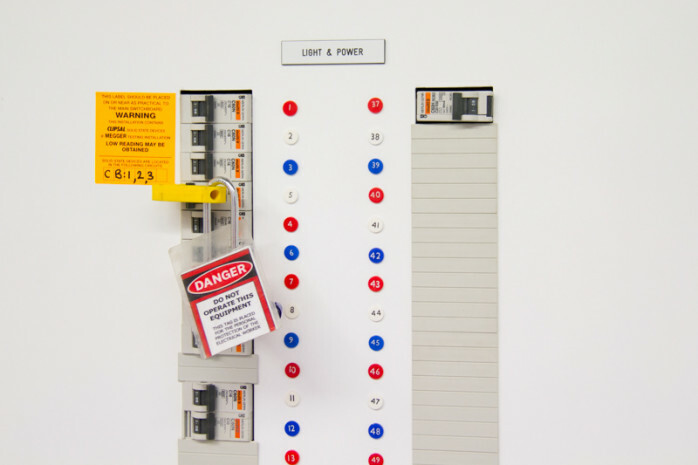 Our staff are up to date with all the options and advantages that a building automation system could bring to your development or commercial facility. BSH has the ability to design and install a hinged or sliding door operator which is individually designed and manufactured for your site dependent upon the Building Code requirements, traffic use, installation location and your own preferences. BSH is an authorised service agent for DormaKaba doors. Our regular maintenance procedures meet the National Construction Code & manufacturers recommendations to ensure continued reliable operation for the life of the door. Notwithstanding BSH can service most major manufacturers automatic doors. As communication demands continue to grow, BSH continues to develop its capabilities in this vertical market segment. 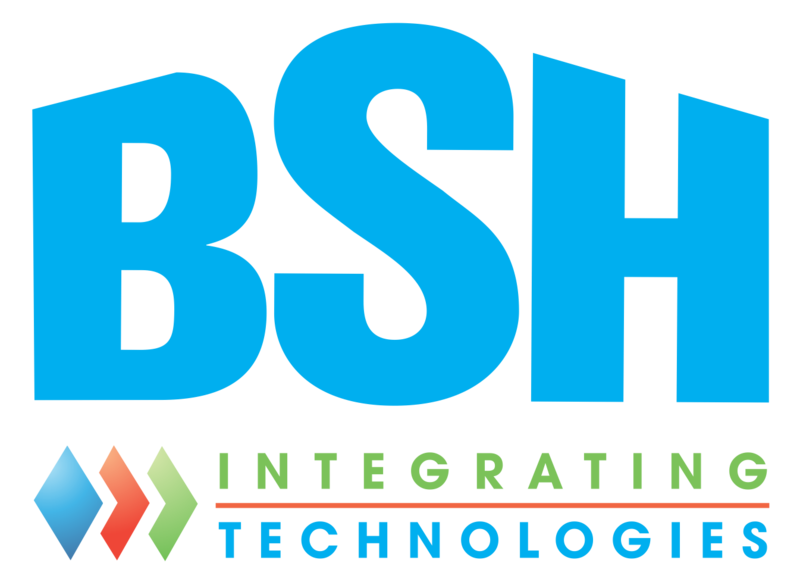 BSH is a firm believer and committed to an investment in training for technological advance. All BSH technicians hold the open cabling registration. 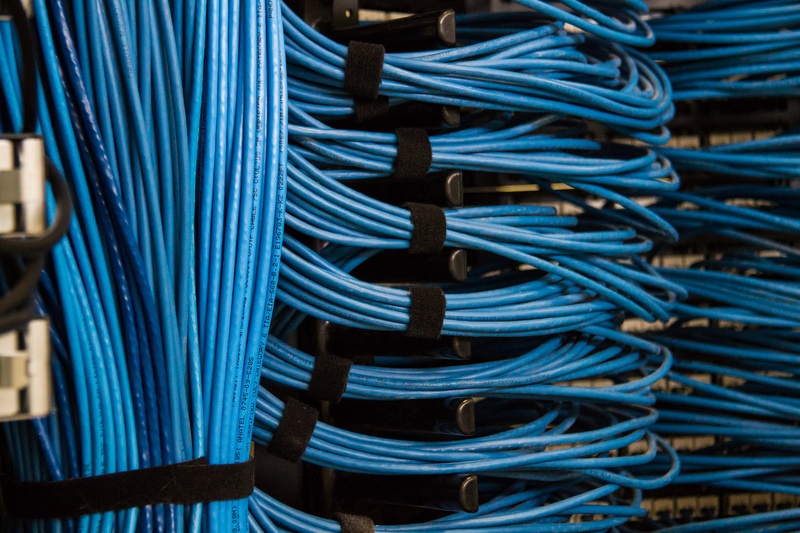 BSH has a wealth of experience in the design, engineering and installation of structured cabling systems using varied data communication channels, including Category 6, 7, optical fibre & also the design and installation of Wi-Fi networks. Clients of BSH can utilise our 24/7 statewide emergency break down service. 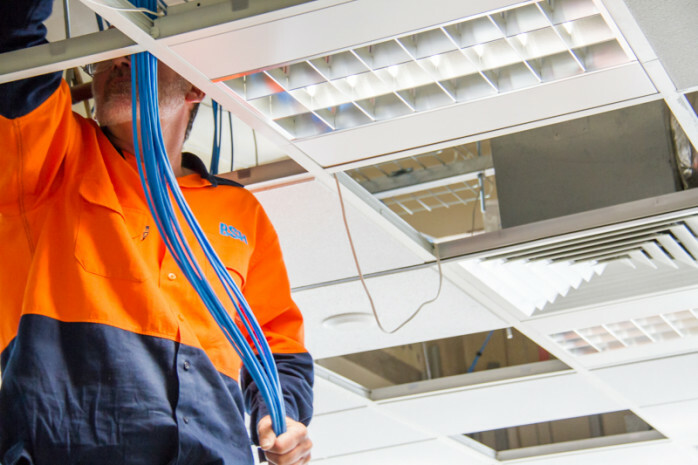 Our technicians are rostered on call to provide a genuine out of hours coverage. This emergency breakdown coverage covers all BSH’s services. BSH’s facility maintenance group can provide a complete services package that can include specialist sub-contractors within their field of expertise. BSH operates a maintenance management system which clients can enquire on progress, nominate service times, review completion of works as well as prioritising works, etc. BSH have the knowledge and expertise for design, installation and maintenance of all major electronic fire systems. BSH are a Tasmanian Fire Service permit holder and have a close working relationship with local authorities particularly Tasmania Fire Service. BSH takes great pride in designing and installing safe, and reliable power & lighting systems. As technologies emerge, BSH technicians are kept up to date with these trends and can provide recommendations on the most cost effective and efficient solutions. BSH provides a comprehensive, integrated and innovative range of Health & Aged care communications solutions (Critical Messaging Systems) that are developed to enhance the quality of service, optimise safety and security for staff and quality of care for patients or residents. Our solutions ranging from manual nurse call systems that can include independent living units and hospitals, through to automatic nurse call systems for dementia and other high care facilities. Our nurse call systems can be supplied and connected to other devices such as DECT cordless telephones, Wi-Fi Phones, fire detection, CCTV and staff duress systems. The protection of both business assets and employees is vital and so it makes sense to professionally protect and secure them. BSH designs and installs systems customised specifically for your business using the most suitable solutions from a wide range of carefully selected products and suppliers. BSH can provide your business with the latest in CCTV security camera technology, intruder alarm systems and access control systems. BSH is an authorised partner for NEC PABX phone systems in Tasmania. Other offerings include DECT and Wi-Fi (including Spectralink) solutions. 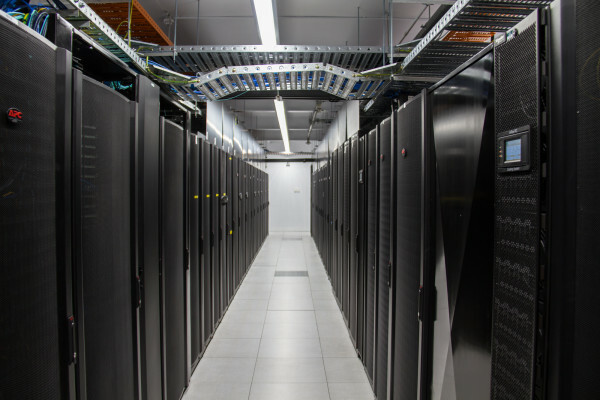 BSH designs, installs and maintains essential power infrastructure solutions ranging from simple UPS’s to a fully integrated backup system which includes control, UPS’s, generators & BMS monitoring. BSH has worked on a wide range of projects from small to large, involving multiple disciplines. We are committed to delivering cost-effective, timely & tangible results to our clients. Our offices are located across Tasmania - Hobart, Launceston and Burnie. Our friendly staff are happy to assist you with your enquiries from 8am to 5pm Mon - Fri.